Raspberry Ketone Ultra Review – Side Effects. Is it safe for you? What is Raspberry Ketone Ultra? Including in it 500mg of raspberry ketones, this product claims that it will have users losing weight like they have never known before. Also included are various other ingredients such as African mango and green tea that are supposed to help make this weight loss aid all the more successful. But can it really? Will this product really have people losing weight, or are they just going to be losing money? Will this product make weight loss inevitable, or is this all just a pipe dream? We decided find out. Raspberry Ketone Ultra is manufactured by a company known as Tri-Pharma, which is located in Georgia. Tri-pharma is known for producing various medical grade products, which include brands, generics, blood derivatives and injectables. 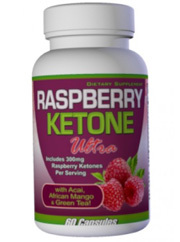 While not available on the company’s website, Raspberry Ketone Ultra can be purchased from third party retailers such as Amazon.com and VitaSprings.com. The raspberry ketones included in this product are supposed to activate a hormone in the body called adiponectin, which may raise the metabolic rate. Included with raspberry ketone are various other ingredients that are supposed to also help boost metabolism, energy levels, as well as burn fat at the same time. 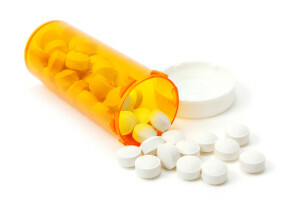 To get desired results, users are instructed to take 1 capsule before breakfast and another before lunch. Despite the confidence in it’s claims, not all users found the results they were looking for. And even though there are positive reviews on Amazon.co.uk, some of the reviewers have only reviewed a couple products, and another reviewer said the same exact phrase for a number of products! This puts the validity of these reviews into question. Included in this product are 500mg of raspberry ketone, as well as 700mg of other ingredients. It should be noted however, that there is no specific amount given to any of the other ingredients, which means that we have no way of knowing how effective any of the other ingredients are. 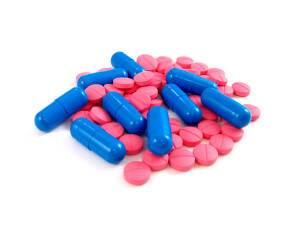 All natural diet pills that make the top 10 list avoid this practice. Raspberry ketone: Although made popular by the likes of television personalities, scientific evidence has shown that this ingredient is not effective in helping people lose weight. African mango: Another name for irvingia gabonensis, this fiber is known to help lower cholesterol, as well as blood sugar levels. Acai berry: Known to be full of antioxidants, there is no scientific proof that this ingredient can help people lose weight in any way. Green tea extract: Commonly used in diet pills, this ingredient is known to be full of antioxidants. It also boosts metabolism and improves mental cognition as well. Apple cider vinegar: Not only known to help with weight loss, but other maladies such as cancer and joint pain. Kelp: Known to help thyroid health, which in turn stimulates metabolism. Resveratrol: An antioxidant that may help with cardiovascular functioning. Grapefruit powder: Known to help detoxify the body, as well as improving overall health. Caffeine anhydrous: Coming in a crystallized form, this ingredient is known to help boost energy levels as well as metabolism. There are no known adverse effects from consumption of this product. Unlike other diet pills that may be costing their users a pretty penny, Raspberry Ketone Ultra can be purchased for the low price of $17.49 on Amazon.com. To help more with savings, free shipping is included as well. It should be noted however, that there is only a very limited stock available. Despite it’s claims of effectiveness, the fact of the matter is that raspberry ketones have not been scientifically proven to help with weight loss. Studies have shown that when injecting animals there has been some success, but when tried on humans results were much less fantastic. It’s not only raspberry ketones that are not effective, as other ingredients such as African mango and acai berry are also not known to be effective in helping people lose weight. There has been a lot of talk about these ingredients and they are commonly included in diet pills, but this is more a marketing technique than anything else. It should also be noted that none of the other ingredients include an amount, so it is very likely that any positive effects that these ingredients may cause would end up being negligable. And despite positive reviews on websites such as Amazon.co.uk, the validity of these reviews comes into question. Some users have only reviewed two products, while another user said the exact same thing for a number of products she reviewed! Needless to say these were all 5 star reviews. Seem too good to be true? Our take on this is yes. The all natural quality of this product will probably pull people into making a purchase that they hope is beneficial to them. Yet after they try it out, it is doubtful that people will see the weight loss results they are looking for. It is true that there are a lot of potentially healthy ingredients included in this product. However there is no specific amount mentioned in the proprietary blend, which makes the effectiveness of everything else included highly questionable. Better diet pills are always upfront about the amounts of their ingredients. When you add onto this that the product’s key ingredient isn’t known to be all that effective, it becomes believable that posting fake positive reviews on websites is the only way that this diet pill will sell. Whats better than Raspberry Ketone Ultra?